I have a button on this website called “Submit a Pic“. People use it! Sometimes people send in an image with almost no explanation. Whether you tell me about the photo or not, I love seeing the photos that you submit to this site. ^ That is amazing. It’s a photo of a partner’s engagement. 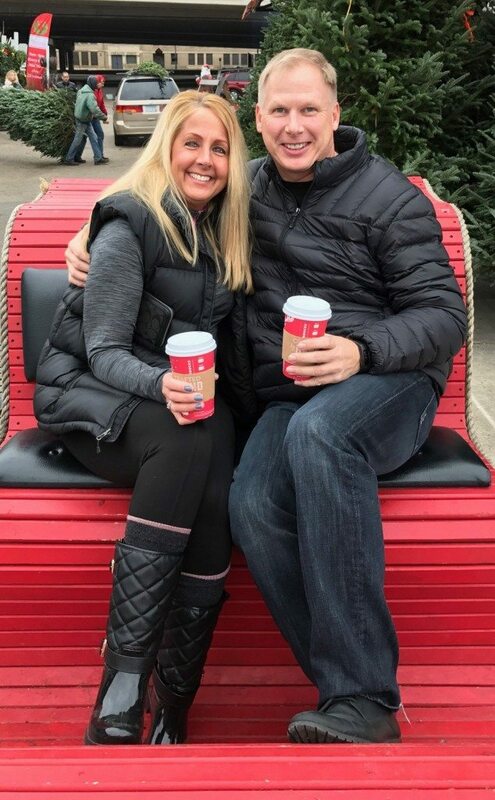 She tells me, “This is one of my favorite pictures of our engagement. 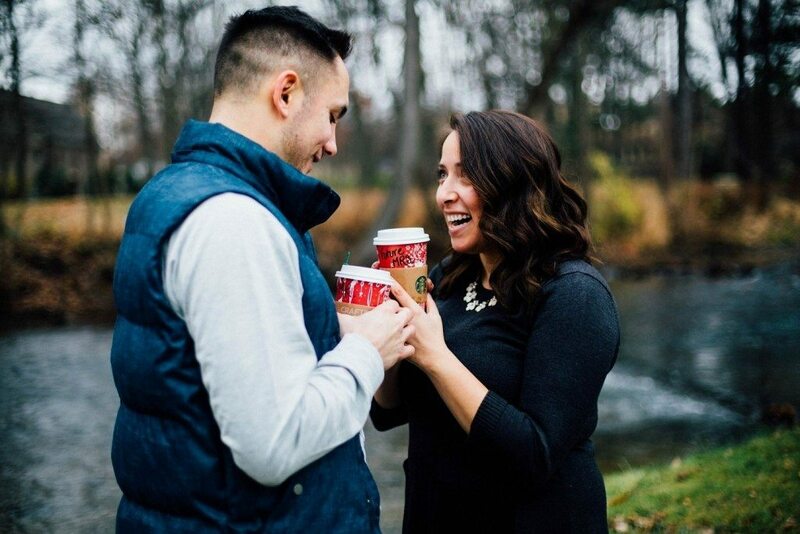 This man makes me so happy and I can’t wait to spend forever with him.” She says the photography is by Erica Mae photography. 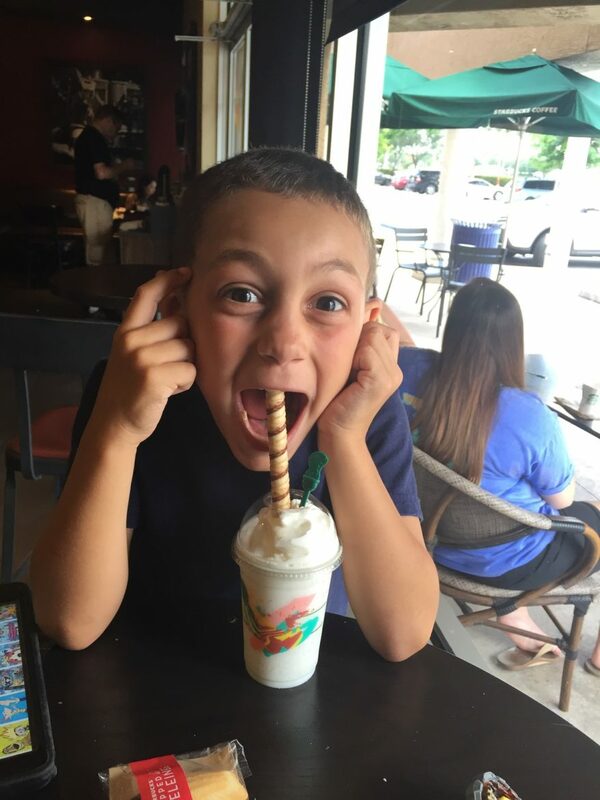 ^ That kid is enjoying his mini Frappuccino! ^ The custom partner names tags are drawn and designed by Missy on Instagram. She loves creating custom name tag art for herself and fellow partners. 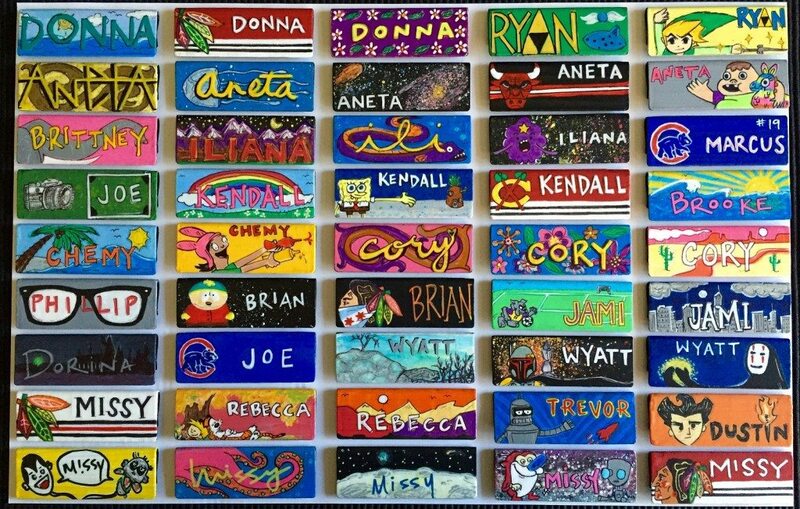 The very sad part of this submission is that partner Missy said that her “regional managers” put a stop to custom name tags and these works of art are no longer allowed in her store. 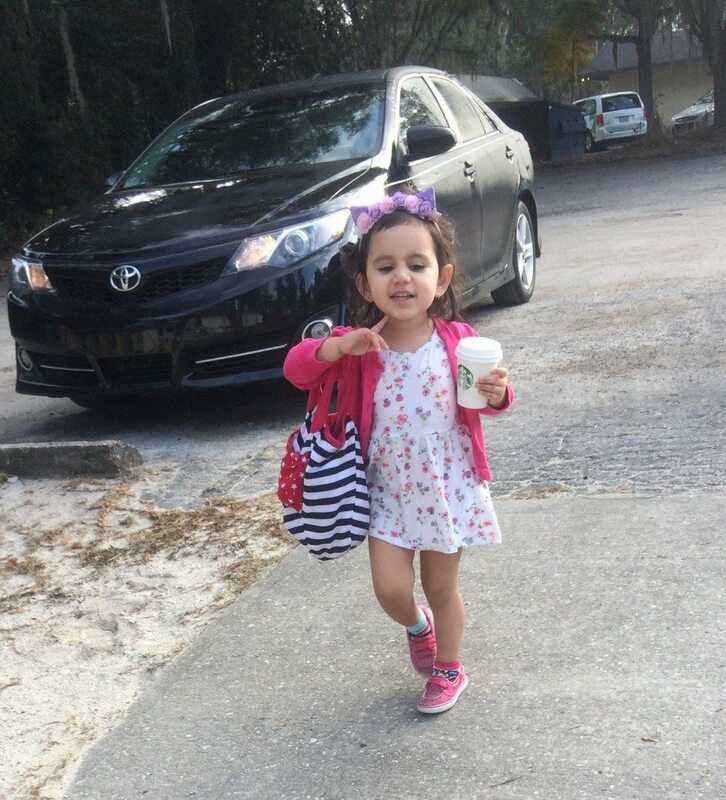 ^ Such a cute little girl. ^ Thank you Barb and Dean for the cute photo! 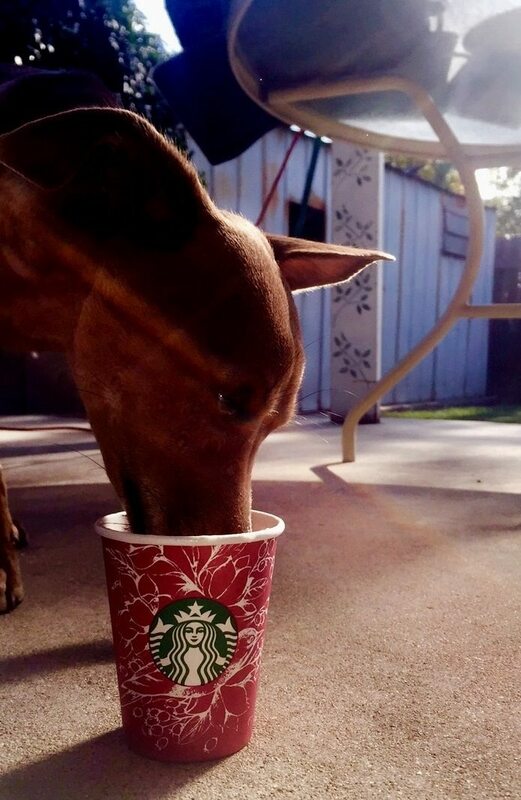 I definitely get random photos of Starbuckian pets! And Hayley sent in this photo of her! Hayley has been a reader for years and years. Thank you! 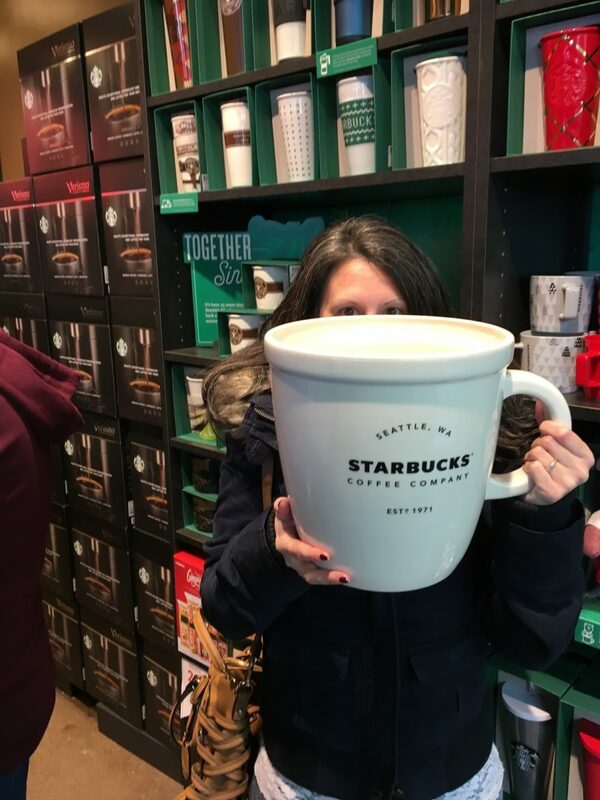 Your Name on your Starbucks Cup. And the winner is … Elly! No custom art on name tags? Okay, that blew my mind. They are beautiful. @Lisa – I know. The submission which said that the custom art isn’t allowed saddened me.